Dr. Aisha is PhD american Muslim, she was living in Colorado, United States. she reverted when she was 20. now she is a living as a housewife. we started a new series ‘Book review with Aisha Farasat’. 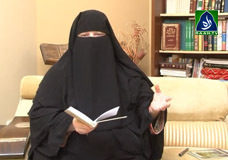 In which Dr. Aisha Farasat will review a book written on the topic of Islam.